The most beautiful places are always hidden away in the corners of this planet which aren’t easy to reach. And one of them is Jibhi. 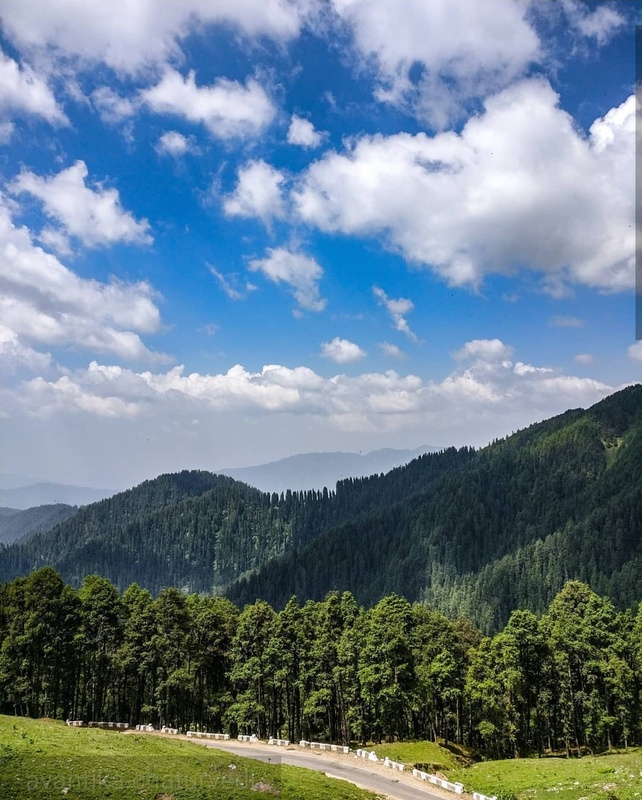 A small village in the Banjar or Tirthan Valley of Himachal Pradesh, this is one of those magical places which are yet to come to mainstream tourism, much like Rasol and Pulga of Parvati Valley. Getting to Jibhi is no easy feat. After starting downhill from Rasol, it took us about 12 hours and 4 different buses to reach there, but it was all worth it. The nearest ISBT from Jibhi is Bhuntar. From Bhuntar, one must get to Aut which is about 20 kilometers, and falls on the way from Delhi to Bhuntar. From Aut, take a bus to Banjar and then from Banjar to Jibhi. The last bus to Jibhi starts at around 6 pm from Banjar so make sure you time your travels accordingly. The village has quite a few small homestays that cost barely 200-300 rupees a night. 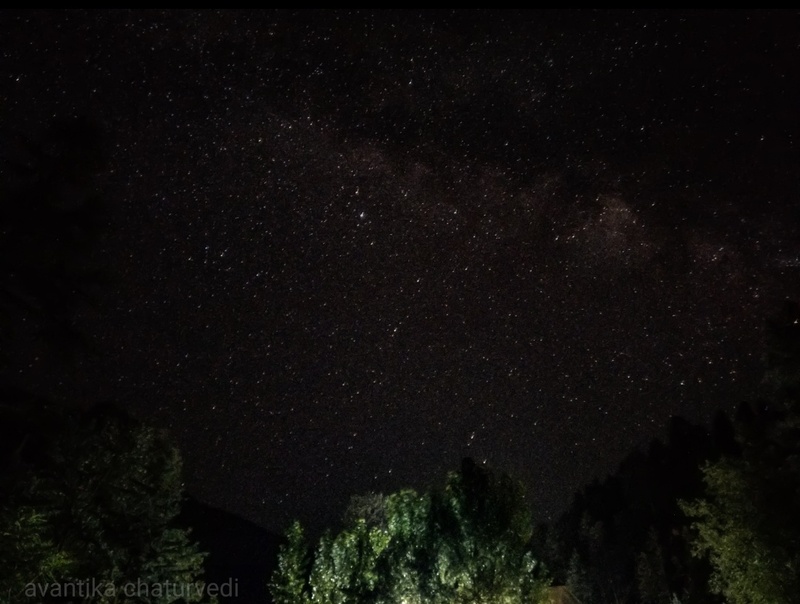 But if you want an experience closer to nature, the several hostels and resorts in Jibhi Camps near the Gadhagushaini Road are the place to be. We stayed at a place called Mudhouse Experiential Hostel. 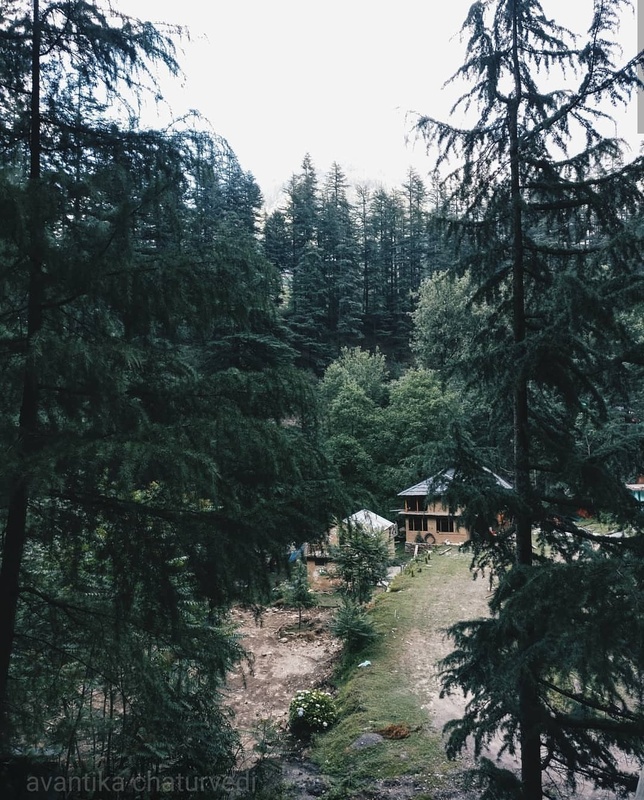 It is a cozy little place surrounded by thick pine trees, and the Tirthan River flows just below. You can even walk down and sit by the bank or sit in the common area, as you please. But these places cost more than the homestays in main Jibhi. Mudhouse charges 650 rupees for a bunk bed and 1300 rupees for a private room in the attic with a beautiful attached balcony over looking the forest and the mountains. The Jibhi Waterfall is located a short 10 minutes’ walk away from Mudhouse. It’s a beautiful quaint little place to kick back and relax. The place can be crowded during the day so if you’re looking for a peaceful experience, it’s best to visit early in the morning or around sunset. Located just 5 kilometers from Jalori Pass, Serolsar Lake Trek is a must do if you have just begun with Himalayan trekking. The trail to reach the lake isn’t even a trek. I’d call it more of a long walk with occasional rock steps here and there. 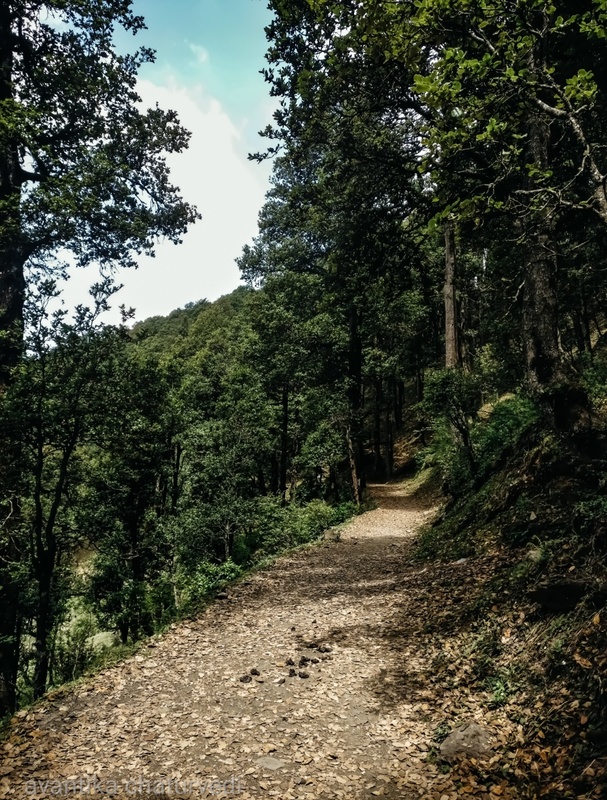 The trail takes you through thick deodar trees on one side and beautiful meadows and open grasslands on the other. 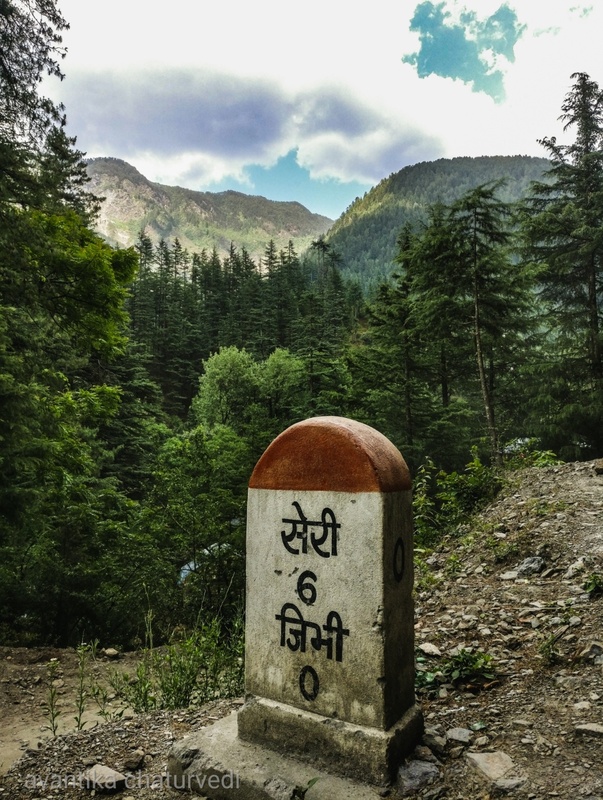 The trail to the lake starts from Jalori Pass which can be reached from Jibhi in a bus going towards Kulu. It takes a two hours bus drive to complete the 12 kilometers journey due to unimaginably steeply inclined roads. It takes another 2 to 3 hours to walk till the lake from the Pass. There are enough ‘cafes’ at and near the lake so one need not worry about the food. 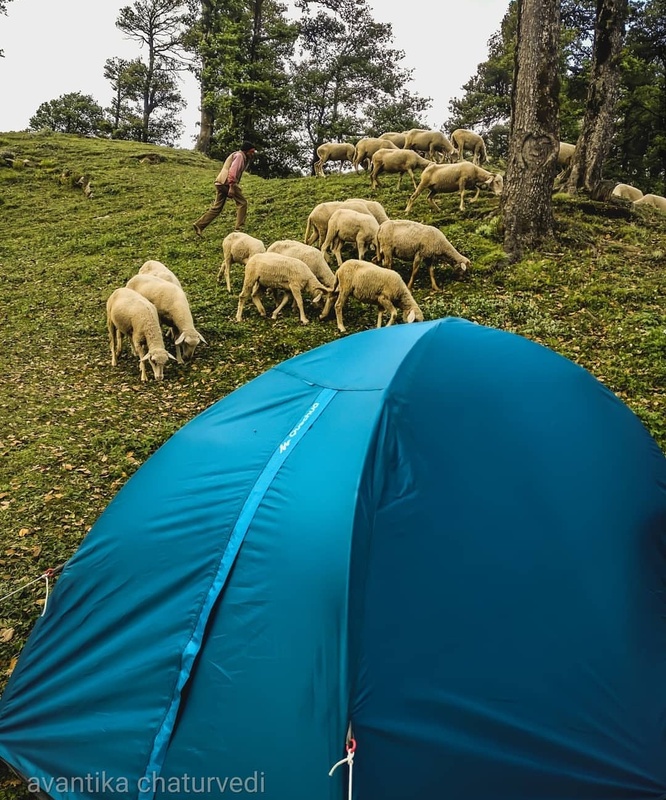 Even the lodging is sorted if you decide to rent a tent at the dhaba near the lake. 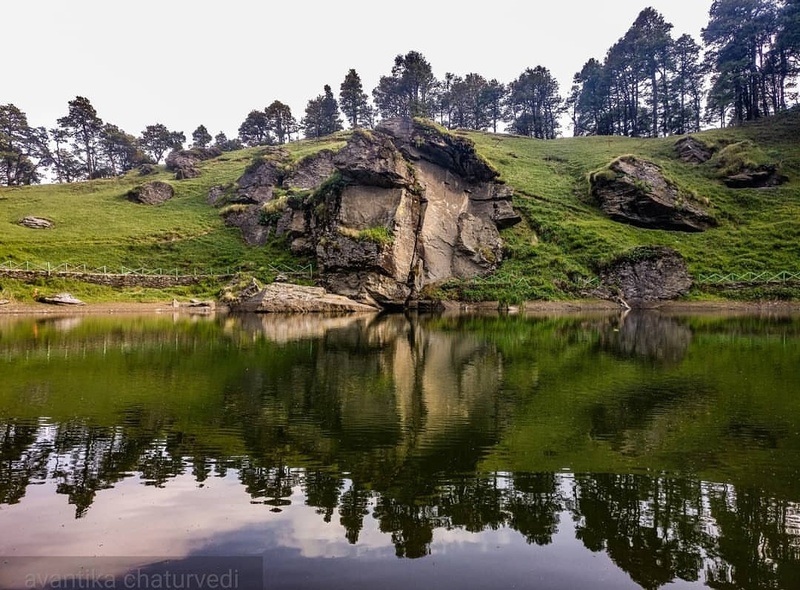 The most beautiful spot to pitch your own tent is right above the lake in front of the Buddhi Nagin temple but the Pujari made us move far away from the lake to pitch our tent because all that area was apparently “mata rani’s land”. I’m not even sure if he has the authority to dictate where we can pitch our tent but it is what it is. So we went further ahead to a beautifully open meadow where a solitary dhaba is located with a kind old man ready to make our stay the best possible. And we came back with no complaints. Jibhi was the sixth of my ‘Twelve Months, Twelve Destinations’ mission. 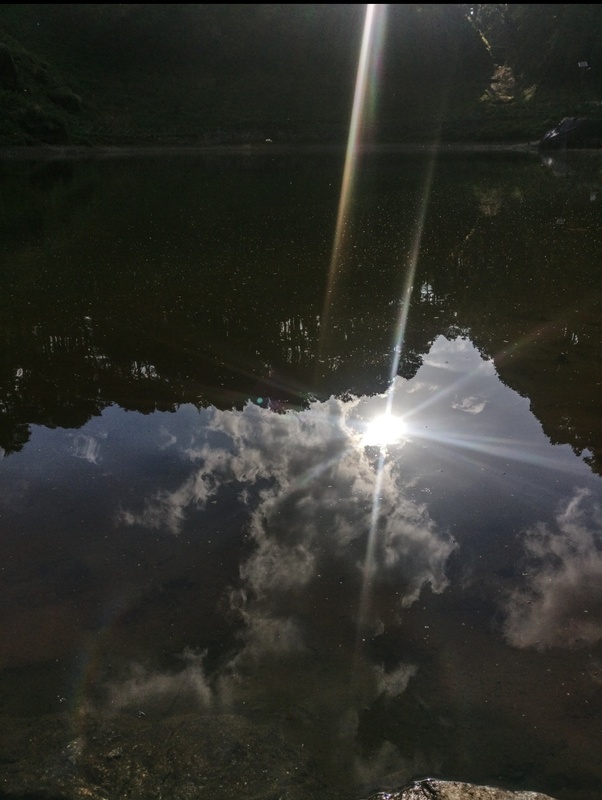 For more pictures and adventures from Jibhi, Serolsar Lake and elsewhere, don’t forget to follow me on Instagram! Exceptionally well described another tale of travel. Let them keep coming for good knowledge of avid travellers. Another excellent description of a wonderful journey. Keep it up, dear.